http://new.painneck.com/wp-content/uploads/2017/10/painneck_logo2-300x112.png 0 0 LMatthews http://new.painneck.com/wp-content/uploads/2017/10/painneck_logo2-300x112.png LMatthews2017-02-26 07:06:482017-02-26 07:06:48Can Statins Cause Neck Pain? Neck Pain and Nausea – Signs of Flu? http://new.painneck.com/wp-content/uploads/2017/10/painneck_logo2-300x112.png 0 0 LMatthews http://new.painneck.com/wp-content/uploads/2017/10/painneck_logo2-300x112.png LMatthews2015-01-08 21:04:512015-01-08 21:04:51Neck Pain and Nausea - Signs of Flu? 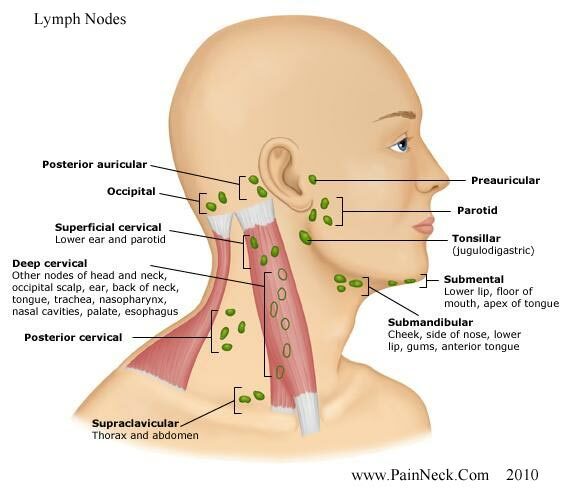 Bone Spurs in the Neck – Where are they most common? The most common sites of bone spur formation in the neck are levels C6-C7 as this is the segment of the spine where the intervertebral discs tends to degenerate faster with age. A combination of shocks to the discs and the general wear and tear of compression can cause the disc to collapse, leading to a loss of vertebral height and reduced mobility of that spinal segment. When one area of the spine becomes less mobile, the areas nearby often compensate by becoming more mobile. In this case, the spinal segments C3-C5 show increased motion and the body then attempts to restore stability by remodelling bone at the outer edges of the vertebral body. Bone spurs typically indicate a loss of spinal stability, rather than simply arising out of nothing. Bone diseases also contribute to the development of osteophytes (bone spurs) though, as does smoking, poor nutrition, and genetic factors. In order to maintain strong bones the body needs sufficient amounts of calcium, but it also needs magnesium, vitamin C, vitamin K, vitamin D, and a range of other nutrients that work to create the collagen scaffold onto which these minerals are deposited in crystal form. Without adequate magnesium, for example, the bone crystals that are formed are poorly constructed and weak, leading to an increased likelihood of bones in the spine fracturing, compressing, and developing spurs. Bone spurs cause problems in the spine because they can impinge upon spinal nerves and nerve roots, as well as entering the disc space or even compressing the spinal cord itself. These bony growths may lead to symptoms such as paraesthesia, weakness, numbness, muscle wasting, and pain in the neck, back, down the arms, or even up into the jaw and head, depending on the location of the bone spurs and which nerves are pinched or section of spinal cord compressed. To alleviate these symptoms, surgery is often necessary to remove bone spurs as this is a physical obstruction rather than one that can be managed with anti-inflammatory and analgesic medications. In addition to operating to remove the bone spurs in the neck, it is also important that the surgical team help a patient understand the potential factors contributing to the development of osteophytes, otherwise it may simply be a matter of time before the patient is back in for further surgery to remove more aberrant bone. http://new.painneck.com/wp-content/uploads/2017/10/painneck_logo2-300x112.png 0 0 LMatthews http://new.painneck.com/wp-content/uploads/2017/10/painneck_logo2-300x112.png LMatthews2014-11-05 17:53:002014-11-05 17:53:00Bone Spurs in the Neck - Where are they most common?